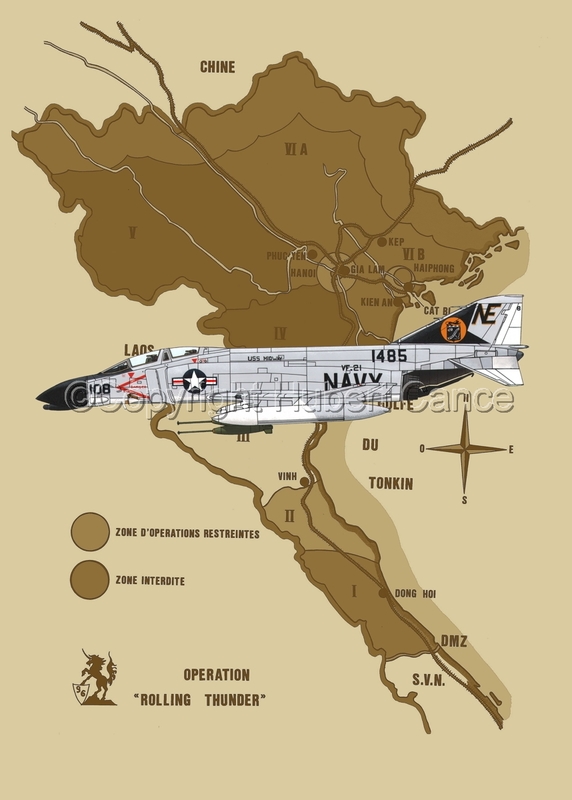 McDonnell Douglas F-4B "Phantom II", SNr.151485, of the VF-21 "Freelancers", CW-2, US Navy. Based on USS "Midway" (CVA-41) Carrier Vessel, Task Force 77 (TF-77), 7th. Fleet during the Operation "Rolling Thunder", Tonkin Gulf, Vietnam, 1965. Acrylics and ink on Bristol card, CAD modified to be inserted in a map of the operation "Rolling Thunder" as background.